Japanese band signed to the avex label and best known for providing many opening and ending themes to the Initial D anime series. The band was formerly known as move (no periods) until they changed their name to m.o.v.e (still pronounced as 'move') in 2005. 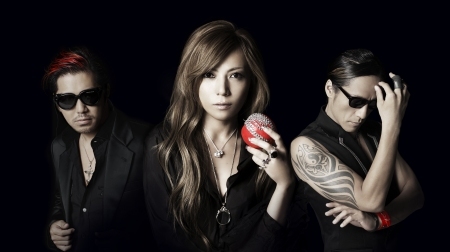 On December 8, 2012 the band announced it would break up after the March 16, 2013 live concert titled "m.o.v.e The Last Show ~Champagne Fight~".